With the latest major OS version on board, the Nokia 6.1 will have new features such as App Actions, Adaptive Battery, Slices, as well as the much-maligned gesture navigation system that we've seen on Google's Pixel phones. This will add to the already great experience offered by the 6.1, which Jordan called "the best budget phone of the year" in his review. Given how tied into the Android One program its phones are, it's no surprise that HMD Global is one of the first OEMs to get its Pie release out to users. The Finnish company has also outlined which other devices will be updated soon, with the Nokia 6.1 Plus coming soon after getting the beta earlier this month, and the Nokia 8 and 8 Sirocco due in November. London, UK, 30 OCTOBER: HMD Global, the home of Nokia phones has announced that the Nokia 6.1 will start receiving Android 9 Pie from today* – the second smartphone in the portfolio to receive the latest version of Android less than a month after the update arrived on the Nokia 7.1 plus. The Nokia 6.1 started getting its Pie update yesterday — OK, great, but what about the other big Pie update set to hit a Nokia phone this month? When we got word of the formal Nokia Pie schedule back at the start of October, the plan was to get updates for both the Nokia 6.1 and the 6.1 Plus out by the end of the month. Would we see that deadline hit? Sure enough, HMD is making good on its word, and today confirms with us Pie for the 6.1 Plus has begun distribution to users in open markets. LONDON, UK, 31 OCTOBER: Just 24 hours after upgrading Nokia 6.1 to Android 9 Pie, HMD Global, the home of Nokia phones, dished up another serving of the latest OS – this time on Nokia 6.1 Plus. Starting today, Nokia 6.1 Plus users will get upgraded to Android 9 Pie in open markets*. The Nokia 6.1 Plus reinforced with Android One, is the third Nokia smartphone in the last month to receive Android 9 Pie. 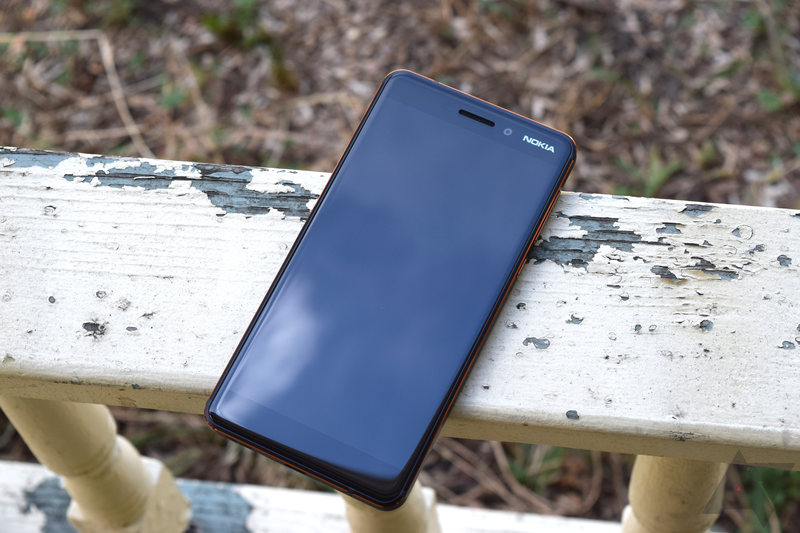 The Nokia 6.1 Plus upgrade comes as part of HMD Global’s promise to continue to deliver pure, secure and up-to-date Android. With a clean, fast UI delivering the latest innovation from Google. Furthermore, each Android One Nokia smartphone will receive monthly security updates for a period of three years, and OS updates for two years. The Nokia 6.1 Plus has enjoyed unprecedented success since its launch at the end of August, selling out at record speed and receiving huge praise for its all-screen design with full HD+ 19:9 screen ratio, which allows an impressive immersive content experience. Now, with the added Android 9 Pie update, fans can try out a whole new set of features, including App Actions – an exclusive feature to Android One devices and Google Pixel phones. Powered by a Qualcomm Snapdragon 636 processor, the Nokia 6.1 Plus is faster than ever and with the introduction of Adaptive Battery its already impressive 3060 mAh battery is given an added boost with the update using deep learning to understand usage patterns and prioritise battery power on the most important apps. Owners of any Nokia smartphone updated to Android 9 Pie, can also be amongst the first non-Pixel devices to receive a taste of the Digital Wellbeing Beta Preview which is now available for testing via Google Play for devices running Android 9 Pie. The new Digital Wellbeing features will help encourage breaks from screen time. New functionalities include highlighting device time on the phone’s Dashboard, the ability to set time limits for app usage and Wind Down Mode which fades the phone to grayscale and activates ‘Do Not Disturb’ at a predetermined time in the evening. Join the Digital Wellbeing beta labs roll out by visiting the Nokia beta labs and register yourself for the update.